It’s 1785, and Jonah Hancock, a Deptford shipping merchant of some means, receives unwelcome news: The captain of one of three ships he owns has sold it and its cargo to bring back a dead, preserved mermaid. Hancock doesn’t know what to do with his new treasure, and the likely financial loss terrifies him, even though he’s solvent. Playing to his fears, his controlling, self-absorbed sister accuses him of squandering the fortune their extended family (read: her children) depends on and will make their name a laughingstock. As a childless widower, you see, he’s got no one else to support, but, more to the point, Jonah has always tried to appease his sister, a thankless, impossible task. He’s sorely in want of backbone or spirit of adventure, but he doesn’t know where to find them—or even whether it’s advisable to look. Nevertheless, to recoup his expenses, he puts the mermaid on display and creates a sensation. The money he receives from gawkers willing to pay for the privilege helps soothe his worries. More importantly, the exposure widens his social world, for the bawdy house that he’s licensed to show his mermaid is frequented by the rich and famous — and those who sell themselves to them. Crucial to the proceedings, the good Mr. Hancock, though scandalized at what he sees, meets the beautiful, accomplished courtesan Angelica Neal. Since the title tells you that Jonah will marry, she’s the likeliest candidate, if only because he meets nobody else. What a risky authorial gambit, yielding up a crucial plot point, daring the reader to put the book down. But Gowar is more than equal to the challenge she sets herself, for how the two characters overcome first impressions makes for quite a story, with much “no — and furthermore” to block their way. Angelica, accustomed to baubles, flash, and excitement, shouldn’t be interested in Jonah for anything other than his money, and yet there’s more at work than that. Likewise, though Jonah has never met an obstacle he can’t run away from, he has nevertheless mourned his late wife and infant son for fifteen years, and you sense courage and will gathering under his scraggly powdered wig. Since he has spent two score years outside the society of genteel Whigs, he must be forgiven for hearing their speech as a cacophony of pantomime sneezes; they pronounce the first syllable with great energy, and trail off into a drawl as if between a word’s first letter and its last they have lost all conviction in what they are saying. He is aware — and ashamed of — his dislike for them; he is a Tory through and through, as his father was before him. It is the logical, the patriotic, the honest choice. He has never until this moment felt in any means awkward about it. But the comic moments aside, there’s much serious matter here. Gowar talks about the way men imprison women for their own use — literally or figuratively — so she brings you inside the brothel, showing the courtesan’s (and madam’s) training and mindset, commercial cruelty, and their hirelings’ poignant sacrifice. In this novel, it seems that every woman in London is for sale, in one way or another, and the mermaid symbolizes this painful fact. The unlikely romance between the straight-laced Jonah and the calculating, brittle Angelica works beautifully, I think; the two characters complement one another in ways they could never have imagined. I also note the choice of names: Jonah, the unwilling prophet who has more to teach than he knows, and Angelica, who discovers, to her surprise, that she possesses goodness and simplicity. The jacket flap mentions the theme of race, but Gowar spends little time on it, and her attempt to extend the imprisonment metaphor in that direction, though literally apt—enslavement, after all—feels like a letdown because she doesn’t develop it enough. Did a previous, doubtless longer, version of the manuscript dwell on it more deeply? As it is, the theme seems more a point of philosophy than essential to the story, rather like a room to a large house that has been closed off. But that’s a minor complaint about a very fine book — a debut novel, in fact. Following a shame and scandal that took her away from her parents in London, Mallory Bright returns, hoping to hide herself as an assistant to her father, a locksmith. But it’s 1580, and according to the mores of Elizabethan England, locksmithing is no trade for a woman, nor should Mallory have received a scholar’s education, including ancient and modern languages. 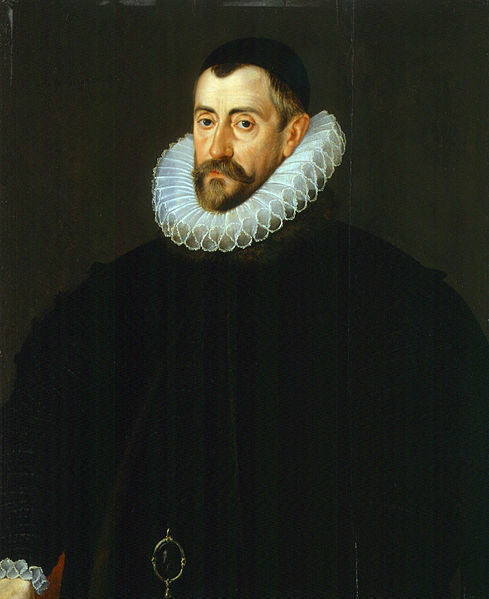 However, her father’s old friend, Sir Francis Walsingham, the queen’s secretary, witnesses Mallory’s talent for picking locks, and he realizes what a weapon she’d be in his campaign against Catholic subversives. The previous years have seen a not-entirely-covert war against those whom, rightly or wrongly, Sir Francis and the crown see as plotters to subvert Protestantism in England and topple Elizabeth from her throne. Up ahead, a pack of dogs barked as a butcher unhooked the gutted pig strung up outside his premises, a swarm of flies lifting from the gray flash as he hoisted it over his shoulder and leveled kicks and curses at the hounds. Nearby, a flower seller chatted to an old sailor with a wooden stump where his left leg should be. We entered an area I once walked with confidence and I stayed close to Angela, who’d begun to hum the ditty drifting from a nearby tavern. “No — and furthermore” seeps through these pages, which, though many, fly by. Conflict abounds, whether moral, political, or amorous, and Mallory’s closest friend, Caleb, is an actor-playwright, always good for color and theme (artifice, romance, deception). The adventures that Mallory undertakes for Sir Francis are truly hair-raising, and none go as planned. Many people die as a result of his efforts, some quite horribly. The serpentine plot forces Mallory to rethink everything she’s ever believed, and she’s never far from confrontation and recrimination, even if she sometimes narrowly escapes them — for now. There’s even a rakish, passionate peer, Lord Nathaniel Warham, Caleb’s patron, who takes a keen interest in Mallory and seems to see through her. But despite these promising elements, to me, The Locksmith’s Daughter fails to deliver. Brooks’s style involves too much tell, not enough show. After doing such a marvelous job setting up crackling conflicts, she douses them with generic responses, whether sentences like, “Wonder and terror coursed down my spine,” or scads of rhetorical questions (“Did I make a mistake? What could I have done?”) The author wants us to believe that Mallory, though an exceptional woman for her time, is still at least partly in thrall to common views of gender roles. Fair enough, but rhetorical questions don’t prove that; Mallory needs to show it, not just entertain it, and whenever she criticizes herself for stepping beyond her role or her station, I don’t believe her. This split between the world she dreams of and the one she lives in is a difficult point of character to convey, but it’s crucial. And though I know what Brooks is trying to say, Mallory’s words and thoughts in those moments seem handed to her rather than coming from within. It’s as though she were a member of Caleb’s acting troupe, speaking her lines. The romance, too, feels a little forced. The reader knows right away that Lord Nathaniel has fallen for Mallory, and when this notion finally occurs to her, it’s obvious that the lady doth protest too much. She would be easier to believe if they quarreled more often about anything substantive, rather than who insulted whom, and there are plenty of contentious issues floating around, not least religious persecution. Naturally, he rescues her at key moments, which disappoints this feminist reader, but it’s also the way he (and others) come to her aid, revealing that they knew a particular secret all along and have acted accordingly. It’s a shame that such an able storyteller should resort to melodrama, but perhaps she knows her audience and figures that skeptics like me aren’t part of it. Charles Lenox, a partner in a thriving London detective agency in the late 1870s, receives a vague plea for help from Gerald Leigh, a friend he’s barely seen since their schoolboy days at Harrow. When Charles looks into the matter, he learns that Gerald has disappeared — and what’s more, may be marked for murder because he’s just come into a sizable, unexpected inheritance. A former member of Parliament, Lenox belongs to the ruling class, and he married an aristocratic wife, yet he chafes at the government’s slowness to enact reforms for the general good. Where the vast majority of Victorian gentlemen would take superiority over women for granted, Charles freely acknowledges that one of his partners, Polly Buchanan, is both a better detective and a more effective executive than he. In fact, this paragon has no discernible faults, unless you count complete boredom at the notion of germ theory, a controversial scientific issue of the day (and one that figures in the mystery). Yet the milk of human kindness makes a winning, comforting drink, even in a tale about greed and murder, and though the ending may be too tidy, how Finch narrates his story adds nuance. Firstly, nothing ever goes as expected, and I don’t mean just the essential “no — and furthermore” to disappoint Lenox’s hopes. Rather, the narrative presents a stream of surprises, many for the reader, not the protagonist. For example, early on, Charles returns home from an investigation through the snow-bound streets to find “a young woman in a slim gray coat” waiting at his door. A relation? A client? A lover? No; it’s Polly, and you soon find out she runs the show. There are many grittier mysteries around, in which people are naturally vicious, and some of these novels are brilliant. Perhaps The Inheritance goes too far to the other extreme. Yet it remains very appealing, and I thoroughly enjoyed it. When a young girl finds the mutilated body of a printer spreadeagled across his press, you’d think the police would take a keen interest, especially since a similar murder follows shortly. 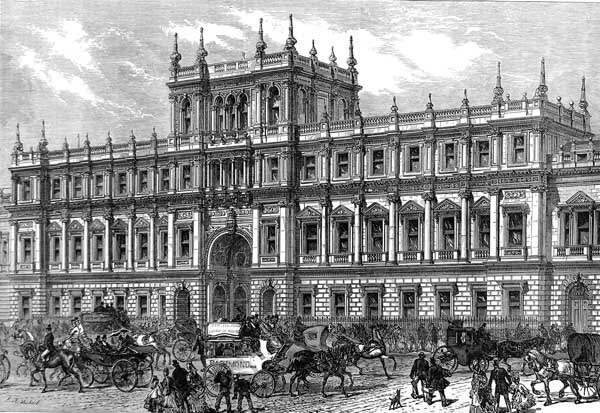 But this is London in 1841, and many forces conspire to discourage official inquiry into these horrid crimes. So Viscount Allington, an evangelical social reformer and member of Parliament, hires two private “inquirers,” men who distinguished themselves in India, Jeremiah Blake and Captain William Avery. These two, the protagonists of Carter’s previous novel, Strangler Vine, will be lucky to survive their quest with limb and liberty intact, let alone solve the case. 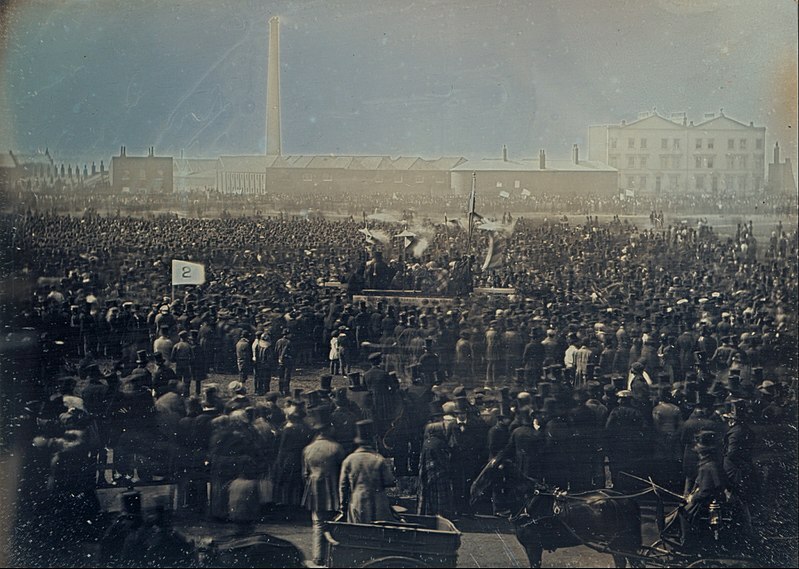 At first, it’s not clear whether someone in high places has forbidden any investigation, or whether the so-called new police (Sir Robert Peel’s brainchild of 1829) think they have better things to do, in particular to penetrate and destroy the Chartists, a so-called radical political movement. Consequently, the poor people inhabiting the back alleys of Drury Lane assume that the constabulary takes no heed of the murders in their midst. Justice exists only for the rich, the titled, the powerful. But when Blake and Avery happen on links between the Chartists, the murders, and several people who desire the case to remain closed, complexities abound. That would seem to require a delicate approach, but our two inquirers charge ahead. Blake, the Holmes of this duo, is irascible, withholding, streetwise, gifted at disguise and deceit, and utterly disdainful of titles and social distinctions. Avery, a Tory by birth and inclination, lacks his partner’s knowledge and sympathies, but he knows how to talk to people jealous of their rank, and he’s a good man with his fists in a tight spot, if all too ready to use them. The unlikely friendship between these two, which Avery seems to want more than Blake — a nice touch — supplies an excellent counterpoint to their investigation and the political forces at work. Unlike Strangler Vine, in which I felt that Carter unfairly overplayed Blake’s stubborn reticence to keep the reader guessing, here, she lets him be a somewhat more responsive partner. And when he does withhold information from Avery, it’s to allow the straightforward, honest captain to play his part in deception with greater conviction, much as Holmes did with Watson on occasion. Carter tells her story with great skill, letting nothing come easily to her protagonists; “no; and furthermore” makes its presence felt every few pages. She also re-creates London of the “Hungry Forties” with power and vividness, which allows her to derive tension from the politics. Avery is loyal to Blake and wishes to see justice done, but his instincts lead him to consider the Chartists dangerous to peace and security merely by demanding universal male suffrage and parliamentary reforms. Even so, as the good captain literally wades through the muck and the poverty of underclass London, his long-held views become harder to sustain. Five years before, I had left England a country traversed by horse and carriage; I had returned to find it in thrall to steam and iron. I had stepped into the green-and-gold carriage, sat on the wooden pews of second class and watched the air filled with steam, as if we were traveling on a bed of cloud. I had felt the rush of speed and watched the curious effect of the countryside melting into a blur of green as it rushed past the window, or rather as we rushed past it. And, of course, there was the noise: the clank and wheeze of the wheels on the rail, the asthmatic puff of the engine, and those sudden unholy screeches — the wheels breaking, or the air forcing its way through the whistle. We had reached the extraordinary speed of thirty miles an hour. It was remarkable, exhilarating, unsettling — not unlike London itself. When I tell you that this fine section appears on the first page of the first chapter, but that it doesn’t begin the book, you know what I’m going to say: Why did Carter need to write a prologue? But read The Infidel Stain anyway. William Pinkerton has much more than his reputation to make a thief uneasy. Not only is he an accomplished detective, son of the famous Allan (and director of the agency that bears his name), William grasps implicitly that revenge and justice are reverse sides of the same coin, and the difference doesn’t trouble him overmuch. If a man’s a criminal, he must be stopped, and proof or evidence are mere tools toward that end. That makes Pinkerton as relentless as he is unpredictable, and if there’s one thing a careful, professional criminal dislikes, it’s an adversary who makes his own rules with the daring calculation of a fanatic. So it is that in 1885, Pinkerton has traveled to London to track down Edward Shade, a figure from his late father’s past. Why Pinkerton père spent so much effort trying to find Shade, whose elusiveness fits his name, isn’t entirely clear. But William has inherited the quest, which he pursues with every ounce of his considerable energy. And when the trail leads him to a woman believed to be connected to Shade, she literally slips from his grasp to throw herself in the Thames. I wouldn’t dream of summarizing further. At 731 pages, By Gaslight is a weighty novel, but that’s like saying the pyramids are large and made of stone. Rather, imagine said pyramid built by dropping pebble upon pebble, and you have Price’s narrative technique. As you read, each mote falls into place as if there were no other suitable niche, and just when you think you might have uncovered the secret you’ve been waiting to see revealed, there’s another hidden inside. I defy anyone to start this novel and not finish it. So I won’t tell you more about the plot, but I will mention three other characters. There’s Adam Foole, a gifted man of the “flash” (criminal) world, with a checkered past that has taken him around the globe, like as not in desperate straits. Master thief and con artist he is, but where most novelists would make such a character a likeable rogue, Price reaches higher. Foole’s neither rogue nor Robin Hood, though the men he robs are brutal types who amass wealth for its own sake and hide behind it, a tacit comparison that works in Foole’s favor. More importantly, though, love and friendship matter most to him, including his affection for his two partners in crime. They are Japheth Fludd, a mountain of a man whose suspicious worldview provides a counterpoint to Foole’s more romantic nature, and whose bond to Foole seems at first hard to explain. But never fear; Price gets to it, eventually. Foole and Fludd look after Molly, a street urchin and pickpocket extraordinaire, whom Foole treats like the daughter he’s never had, and whom he patiently instructs in manners and the right way to treat people. They’re a marvelous triumvirate. He did not go directly in but slipped instead down a side alley. Creatures stirred in the papered windows as he passed. The alley was a river of muck and he walked carefully. In openings in the wooden walls he glimpsed the small crouched shapes of children, all bones and knees, half dressed, their breath pluming in the cold. They met his eyes boldly. The fog was thinner here, the stink more savage and bitter. The novel ranges from England to India to South Africa to the United States, both the Western cow towns where desperadoes rob banks, and Virginia during the Civil War. 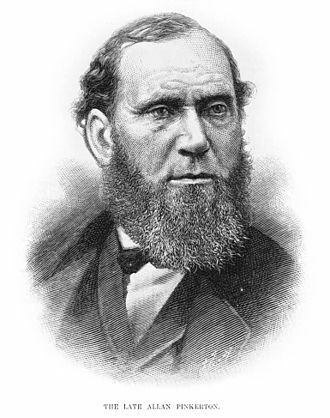 (Allan Pinkerton runs spies for General George B. McClellan, commander of the Army of the Potomac, and William joins his father there.) But everywhere the narrative goes, you sense the place and time as if they entered through your fingertips touching the pages. I like intricate books, though I must confess I got twisted around so that I’m not sure I understand everything in this one. But I don’t mind that as much as the two annoying tics in which Price indulges himself. By Gaslight has no quotation marks, and sometimes you have to parse out where dialogue ends and narrative resumes. He’s not alone–Lydia Peelle did the same in The Midnight Cool–but I say it’s spinach, and I say the hell with it. It’s as if the authors are pretending that they’re so good, their prose needs no punctuation. Silly. Similarly, Price uses commas so sparingly that his longer sentences sometimes have a breathless, full-of-themselves quality, like a more loquacious Hemingway. I don’t get that, either. But By Gaslight isn’t just good; it’s spectacular, in every sense of the word. This novel is hardly the first about a love triangle in wartime, but if it’s not the best of the genre in recent memory, it’s pretty damn close. Mary North, a young woman at odds with her stuffy London family, hastens home from a Swiss finishing school in September 1939, just after Britain declares war. She wants to “do something,” so she badgers the War Office, assuming that her services must be required, maybe as a secret agent. After all, her father’s an MP, perhaps destined for a cabinet post, so why not? Nobody really knows what the war will be like, but eighteen-year-old Mary is very sure that for her, it will involve duty, freedom, and a ripping lark. In other words, Mary has the makings of an absolutely insufferable, overprivileged twit–and yet she’s quite the opposite. 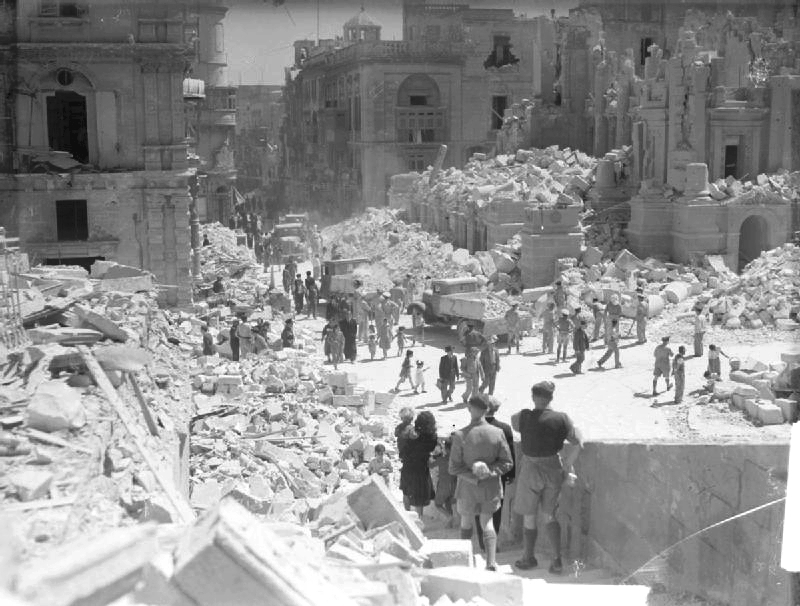 Bomb damage in Valletta, Malta, May 1942 (Courtesy Wikimedia Commons). Two traits save her, in my eyes. First, she’s delightfully subversive, willing to challenge commonly held beliefs in herself and others, and does so with wit and style. Second, she tries to live by her discoveries, working around the rules whenever necessary–a free spirit who becomes increasingly aware how much her ability to be one derives from her wealth and social position. Mary finds a job as a teacher, where her readiness to see things from the children’s point of view makes her an asset. For instance, the day they’re to be evacuated from London (a war measure), her charges exchange their name tags the moment she turns her back. Being who she is, she pretends that their new names are the correct ones, which amuses them no end. “It turned out that the only difference between children and adults was that children were prepared to put twice the energy into the project of not being sad.” But Mary’s superiors think she’s unfit to teach–too much levity and sympathy, flouting the rules–so they fire her. Are we downhearted? Only for a moment. Mary lobbies Tom Shaw, an administrator who grants her the use of an abandoned school, where she plans to teach those children shunted back from the countryside, spurned because of their skin color, emotional disabilities, or neediness. Mary throws herself into rescuing these kids and, shortly afterward, into Tom’s arms as well. She laughed then, brightly and without complication, and he laughed too, and for a moment the war with its lachrymose smoke was blown away on a bright, clean wind. Alistair marveled that she could do such a thing with the tiniest inflection of her mouth and the lightest look in her eye: even exhausted, in yesterday’s dress with her hair disheveled, she could make the distance between them disappear. Consequently, it’s no secret that while enduring the terrible, grinding, years-long siege of Malta, Alistair thinks of Mary and his friend Tom in different, not always selfless, ways. What eventually happens is anything but predictable, even if it seems so at first, because Cleave is master of my favorite literary device, the “no; and furthermore.” Just when you think things are settled, they’re not–they get even worse–and no one’s off the hook. Some readers may object to the unflinching nature of the narrative, which deals out plenty of pain and leaves quite a few prejudices intact. But I urge you to read Everyone Brave Is Forgiven, precisely because these characters earn every drop of joy they get. Along the way, Cleave treats you to terrific dialogue, much of it darkly funny, and pitch-perfect descriptions of new love, intense desperation, and loss. The characterizations feel true in every respect, save one (I don’t believe that Mary’s only eighteen at the novel’s beginning, and she doesn’t act like the virgin she’s supposed to be). I’ve heard some people call this book same-old, same-old, or too sentimental. Don’t believe them. Everyone Brave Is Forgiven is a wrenching novel, one of the finest I’ve read this year. Disclaimer: I received my reading copy of this book from the public library. Vera Sedge’s life is a painfully funny mess. It’s 1940, and London’s getting pounded by the Blitz, but to her, that’s not the worst; the war seems just “out there” someplace. Rather, Vee, as she’s called, runs herself ragged caring for her lazy, selfish nineteen-year-old son, excused from military service because of a heart murmur and running around somewhere, doing things he refuses to talk about. Her dotty mother, also living with them in a northwest suburb, expects to be waited on too, while she writes long, chatty letters to Mr. Chamberlain (and then Mr. Churchill) to complain, in a pen-pally way, about shortages and shoddy goods and refugees who must certainly be spies. 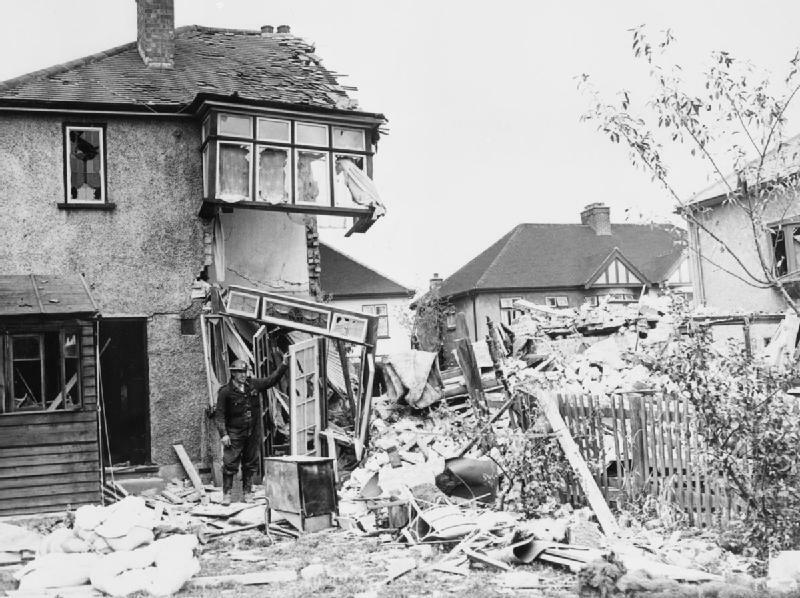 A London house bombed in 1940 (Courtesy Imperial War Museum, public domain). Vee would dearly love to latch onto a paying scam; it’s the only way she knows how to earn her meager living. But as a con artist, she’s inept, partly because she rushes headlong into whatever looks good right that second, only to find that the string of lies she’s told don’t hold water, and she’s trapped. She tries passing herself off as a door-to-door fund raiser for the wartime charity du jour but earns more suspicion than income. Meanwhile, Noel Bostock, a brainy ten-year-old with no friends or social skills (“hobbies are for people who don’t read books”), lives with his demented godmother, Mattie. His tender love for her is all he has in the world, and when she wanders out one night and dies of exposure, Noel’s bereft and alone. The law says that, like all other children living near bombing targets, he should have been evacuated. But, as resistance is his godmother’s legacy–in her heyday, she fought for woman suffrage, chaining herself to fences and serving a prison term–legal authority means nothing to him. Vee takes Noel in, thinking to pocket the government allowance for harboring an evacuee child, and her first impression is that he’s simple and pliable. Wrong. What she’s found is a partner in crime–a senior partner, the brains behind the operation. Noel, ever organized, quickly figures out which charity they should target, in which neighborhoods, using whatever script he’s concocted for her. Immediately, their efforts bear fruit. I have to admit, I felt uncomfortable reading about this dynamic duo bilking credulous, good-hearted folk for money that would never reach the widows, orphans, or wounded soldiers it was meant for. Granted, judged against the venal behavior they see around them, they’re small fry. In Evans’s world, nobody has time to be a hero, because being on the take requires every spare minute. If this is England’s finest hour, as Churchill proclaimed, you have to wonder what the brave, doomed pilots in the RAF were fighting for. (Vee, of course, evokes the Churchillian two-finger salute for victory.) Crooked Hearts is a sendup on a small, yet potent scale, a wartime theater of the absurd. But when there’s no time for heroism, that leaves love, which takes no extra effort or splendid opportunities. You get the sense that Vee and Noel will somehow soften each other’s carefully sheltered heart, and it’s worth finding out how. There’s a dollop of comeuppance for those who really need it, which is satisfying too. I loved the humor in Crooked Hearts–the letters to the prime minister, the ridiculous scrapes Vee gets into, the ten-year-old who talks over his guardian’s head, the satire on British attitudes. Most of the characters are merely that, a collection of attitudes. But the novel works because Vee and Noel are fragile humans whose desires have been thwarted so long–as in forever–they can’t even name them. Theirs is a fine tale. A politician once said of Germany that it took half the country to control the other half (and he was speaking around 1900, well before either world war). 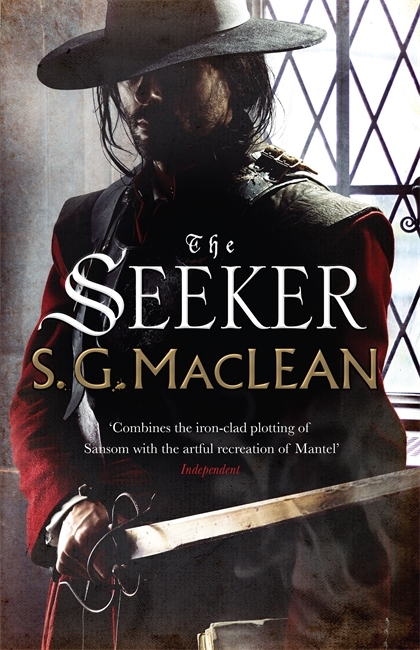 I get the same chilling impression of midseventeenth-century London from The Seeker, a mystery that involves murder, royalist conspiracies, and the terror of speaking one’s mind. Cover by Henry Steadman (Courtesy Quercus Books, UK). It’s 1654, and after a fractious, savage civil war, Oliver Cromwell has seized power, employing a vast, pervasive spy network to root out anything he considers subversive. His most ubiquitous, feared agent is Damian Seeker, who seems to know whatever you shouldn’t have done, when, and with whom. So if you’ve spoken against the Lord Protector Cromwell’s joyless, repressive regime; longed for the Stuart monarchy to return; written a poem extolling liberty; or merely sat in the same room as someone who’s done any of these, when The Seeker comes for you–and he will–don’t bother to deny a thing. It’s better not to. However, what makes Seeker more than an extraordinarily energetic, gifted goon is a passion for truth, no matter where it leads. Consequently, when an assassin fells John Winter, a soldier who enjoyed the Lord Protector’s favor and sat in his inner council, it’s more than a security breach. It’s also a murder case, and finding the killer matters, not only because he could strike again, but–well, because. And from the first, Seeker doubts that Elias Ellingworth is the killer, even if he was discovered near Winter’s body, holding the bloody knife, and even if he’s penned seditious pamphlets. To find the real murderer, Seeker must follow a sinuous trail that quickly branches in several directions, all of which appear to threaten the regime. Coffee houses, the latest fad in London, are the perfect breeding ground for conspiracy, though they’re also places for free conversation on any topic under the sun. I like how MacLean plays this theme. Cromwell’s followers pretend that they have swept away a tyranny based on birth and replaced it with a temperate government that values merit. But, as Ellingworth insists, the Lord Protector has betrayed the democracy he once professed and instituted a tyranny of his own. That Seeker, a commoner of humble origins, hunts down dissidents to uphold an unjust, autocratic ruler lends the conflict a fitting irony. Little is known about Seeker’s origins, though, for the man never talks about himself or his feelings, if he even has any. He’s all work. However, Maria Ellingworth, the imprisoned suspect’s sister, interests him, and I doubt I’m giving anything away by saying that the young woman’s naive honesty and directness slowly seep through his defenses. It’s obvious from the get-go, though anything but obvious how it will end. That’s The Seeker’s greatest strength, I think. Except for a scene or two recounted out of order to withhold a secret, the novel is exceptionally well plotted, no mean trick, given the sheer number of characters. Further, MacLean excels at hiding whether certain key characters are friends or foes, sometimes up until the end. I could have done without a cliché action or two, as when Seeker holds off his men to battle a traitor in single combat, but that’s a minor quibble. I love the period details, which flow seamlessly through the narrative and lend atmosphere. The language does slip occasionally, though; I’m certain no seventeenth-century Englishman would have ever used the phrase liaise with. Seeker’s also pretty thin as a character, yet he’s the deepest of the lot. Late in the novel–too late, I think–we’re told (not shown) why he’s so loyal to Cromwell, and why he loves order above all. But I’m not entirely persuaded, and I think it would have taken little to establish this in small ways throughout the narrative. Seeker has potential–why is he so fierce, and why does truth matter to him?–but this book doesn’t exploit his inner conflicts. Maybe in future installments, MacLean will show more of him and her other characters. Nevertheless, I enjoyed The Seeker. In the interest of full reporting, let me add that the novel won the 2015 Crime Writers’ Association Endeavour Dagger for Historical Fiction. Disclaimer: I obtained my reading copy of this book from the publisher in return for an honest review.